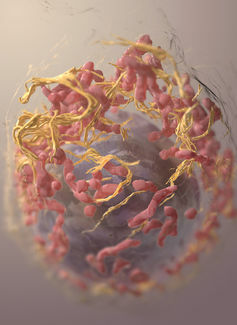 Since immune cells are hard to come by, cancer cells benefit from sites of chronic inflammation or larger wounds in their close vicinity as both attract them. This explains why up to 20% of cancers are linked to chronic inflammation. Two associations include chronic inflammation of the liver or the bacterial infection of the stomach by Heliobacter pylori. How cancer cells pull off this trick is, however, largely unknown. A fascinating insight into the intricate social network of cancer cells has just been published in The EMBO Journal. Two British research teams based in Bristol and Edinburgh, and one Danish team based in Aarhus, report that pre-cancerous cells redirect immune cells from nearby wounds to help them grow. Cancer cells mimic the signals, which are normally released at sites of tissue damage, to pinch neutrophils from inflamed wounds. Neutrophils are the most abundant (40% to 75%) type of immune cells and the first-responders at sites of tissue damage. 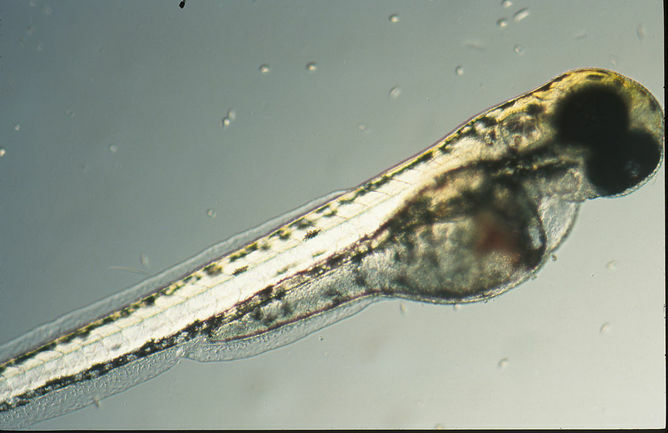 Larval zebrafish – on the frontier. Thomas Caspari is Reader in Cancer Biology at Bangor University. This article was originally published on The Conversation. Read the original article.